Notes: This is not the usual type cachaca that you find imported to the United States in several respects. 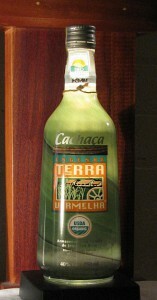 First it is a handcrafted cachaca produced in copper alembic type copper stills (most are made in industrial quantities in column stills), rested in Jequitibá Rosa barrels (most are bottled fairly quickly) and almost none are certified organic and grown on a single estate (of just 124 acres). The second is the artisanal variety pot distilled and aged in wood. Also the column still varieties are more often tweaked with multiple distillation, filtrations and assorted additives to achieve a character. Pot still varieties get theirs from terroir, aging and of course the use of a potstill (which almost always yields a more flavorful complex spirit – but is much harder and expensive to use). Appearance: Sparkling pure on swirling, long legs develop on the nosing glass then tiny droplets forming. 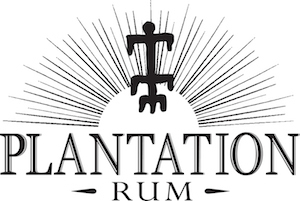 Taste: Very smooth and spritely on the tongue, oak,pepper, nutmeg notes edges on the tongue with citrus, lemon grass, traces of bergamot and salty overtones with a whisper of tea notes and astringency playing off against the sweetness. . . Slightly oily mouthfeel to it and a long dryish finish with a warm glow. 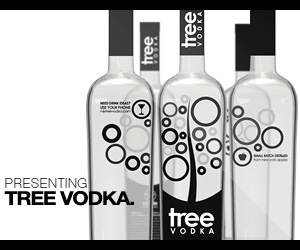 Bottle/Packaging: A rather simple but distinctive bottle, cone/cylindrical in shape, with a rounded shoulder to small neck and screw cap closure with a paper seal under shrink wrap. Green (sugar cane colored) wrap around plastic sheath is the label . Other: No US importer. Company is (from what I understand) not interested in any exclusive import deals you can buy the cachaca in wholesale quantities to import but that is it. This will pose a problem to anyone seeking to promote and grow the brand beyond a one shot deal. Final Thoughts:A outstanding example of an artisanal Cachaca and quite frankly one of the best we have ever had.We used to think that comparing Cachaca to Rhum Agricole was like cheap Moonshine to Bourbon. We are glad to have our minds changed. This is a benchmark cachaca against which others will be judged. Quick-loading, fair amount of information but could have more. Simple, straightforward but nothing about US sales or where to find it.